Real time YouTube analytics from December 23, 2017: most viewed videos in the last 48 hours. I started 2017 with about 300 subscribers and 50 000 views and ended it with 800 something subscribers and 170 000 views on my YouTube channel. I uploaded about 70 videos in 2017. I get most of my views from older videos. My most viewed video about DIY Recycled Flower Pots is one of my first ever videos and it's at over 30K views. Most of my videos get a few views at first and then drop off. But some of them eventually start piling on views consistently. I got a few of those this year: How to Prepare Cardboard for Painting, Charcoal Set Unboxing, How to Wireframe a Website, How to Make Acrylic Paint Vibrant (I got the idea for this video from a viewer's comment), How to Design a Brochure in InDesign, How to Frame Pastels and How to Paint with Water Mixable Oil Paints. There's a clear pattern here and it's called "how to". Traffic sources in the last 90 days (December 23, 2017). In the 2016 recap blog post I wrote that 50% of my traffic was coming from YouTube search. It has now changed and search and suggested each bring in about 30% of traffic. I don't think it's because I'd get less traffic though search, but rather I get more traffic through suggested videos than I did before so the percentage of search traffic has dropped. And I think the reason is a change in YouTube's algorithm, but I'm not exactly sure what. I posted two videos per week from the end of August 'till the end of December on my YouTube channel, because I wanted to reach 150 published videos by the end of 2017. My 150th video is a sketchbook tour. The current recommended number of weekly uploads on YouTube is three. I did notice a clear increase in watch time and views on my channel during the fall months, compared to the summer. However, a lot more of my time was used editing videos than creating art. 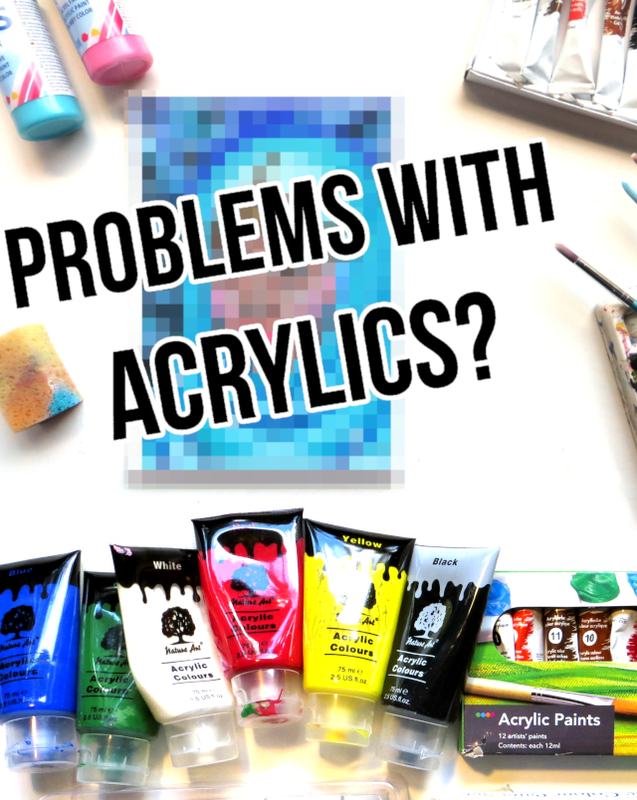 I wanted to paint, but I had to edit more videos. I made videos that would be shorter to film rather than speed painting videos. YouTube watch time and view graph since the beginning of my channel. I excluded Dec 2017, because it wouldn't be a full month as I'm writing this. Also, I can't be sure if the increase in views was due to YouTube ranking my videos better and recommending them more often, because I started publishing two videos per week - or was it just because people watch YouTube more after the summer holiday? Probably a bit of both. 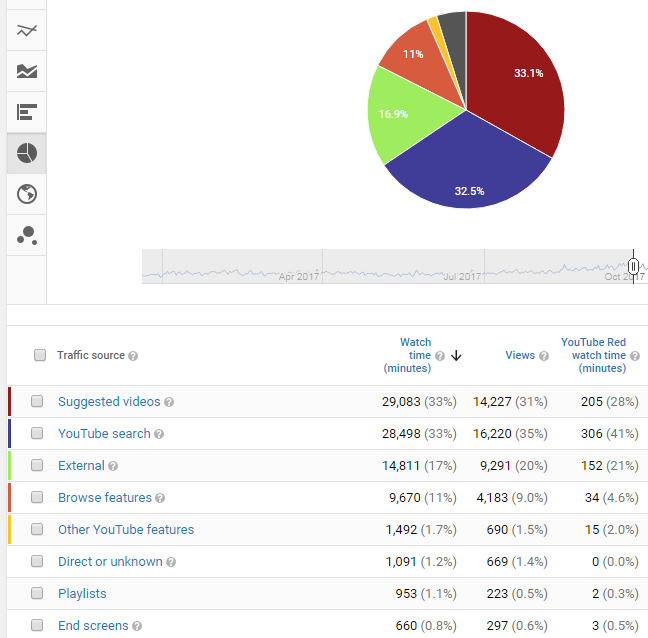 Also, while my overall watch time and views increased, the most recent videos didn't get viewed more than usual. I'm getting most of the views on my older content. So, in 2018 I will go back to publishing one video per week regularly and only publish a second video every once in a while, when I have the time. That way I can use my time doing the art and craft projects I want to make, instead of scrambling to post another video. I have lots of ideas, but I haven't had enough time to make them. I do believe that increasing my weekly videos to three would result in faster growth on my channel, but I also want to use some of my free time in improving my own art. 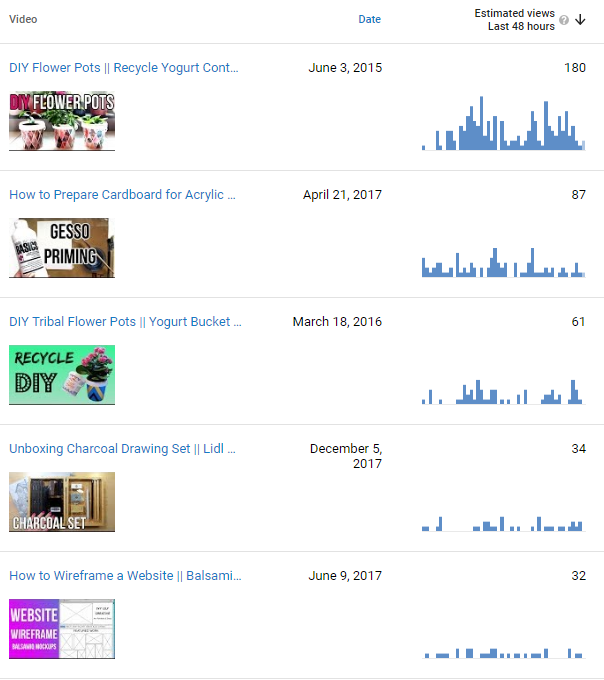 I know that DIY videos get me the most views and software tutorials make the most Adsense money, but my goal isn't just to be a YouTuber or to make Adsense money. I want to make art. And I'm ok with my YouTube channel growing slower, because of the type and amount of videos I make. My 2017 art tour video. 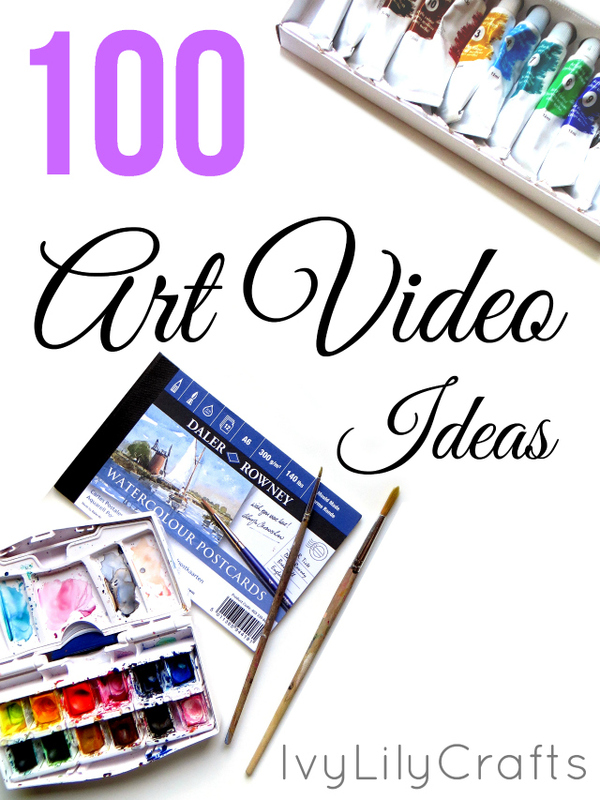 One of my goals for 2016 was to make long, informative posts on the blog and do the quicker, smaller tips on video. However, since I started doing voice-overs in December 2016, I can get more in depth with the video narration, too, and that resulted in not writing many blog posts in 2017. That doesn't mean I won't turn the voice-overs into blog posts in the future, though. When I first started making videos, I couldn't image recording voice- overs, I only added some lines of text on the video. I'm getting less timid about talking into a microphone now. When asked "why did you start making YouTube videos", many YouTubers say "to get more confident". I'm pretty sure that had nothing to do with why I started. It's just something that's happening on the side. My plan for 2017 was to make one coloring video a month and one ASMR video a month and more speed paintings and DIY videos. I noticed that my real time ASMR videos with the original drawing sounds and no talking did better than the shorter speed painting ones with voice-over of the same topic with the same footage. So, I started uploading more ASMR art videos. During the autumn, I was even uploading a new ASMR video every week. The other reason was that when I started recording voice-overs for my speed art videos, ASMR videos actually became easier for me to edit. When I edit an ASMR video, I'm cutting the video and the audio at the same time and then just removing the background noise from the audio and pasting it back to the video. When I edit a speed painting etc., I also have to write a script, record it, cut it and then bring it back to the video. So, it's more work and it takes longer. I'm aware that not everyone is into the ASMR art videos I make. I recently even got a comment that one of them was like "nails on a chalkboard". I'm not expecting everyone who watches my channel to watch every video. Actually, I'm not expecting anyone who watches my channel to watch every video. All of my content is somewhere in the creative field, but it's not aimed towards the same person. I make tutorials, tips and process videos for those who want to learn some technique or just watch how a painting is made. They're often speed paintings. 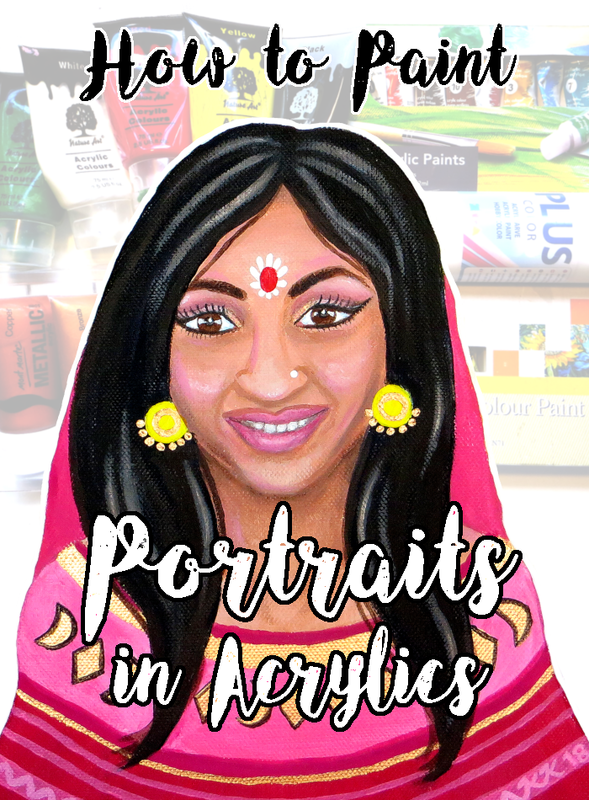 I make real time videos with the sounds of art supplies or creating art. Those are ASMR videos and they're for people, who find the sounds calming. Those might be the same person, but I think they're often different people. The second one would not get much out of a speed painting video and the first one could find ASMR videos boring and slow. 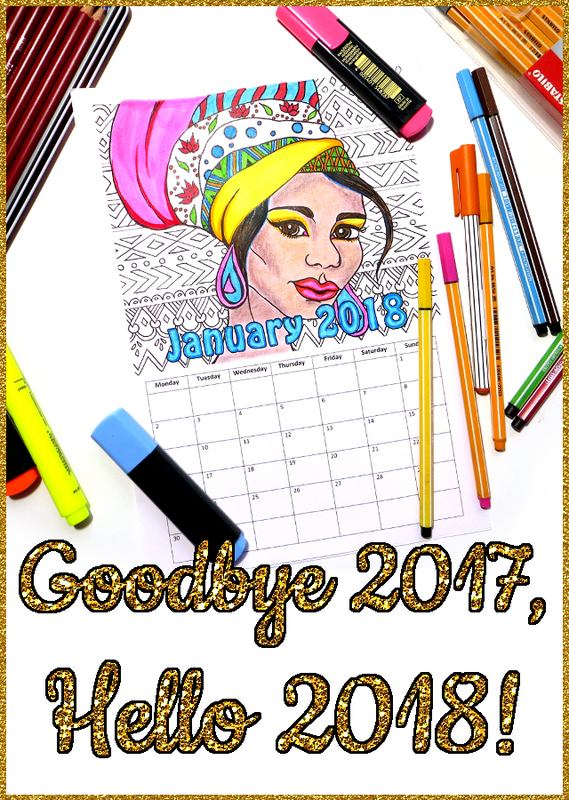 I updated my Ethnic Girl Coloring Calendar for 2018. I want to make illustrations for jigsaw puzzles. It's a kind of a random idea, but I watched Karen Kavett's jigsaw puzzle collection videos and thought I'd love to paint detailed, colorful scenes for jigsaw puzzles. Here's a blog post (a bit old, it's from 2010) about licensing your art for jigsaw puzzles, if you want to look into it. Some things I want to do first, however, are printable coloring envelopes and a print-on-demand coloring book. I made a second coloring calendar in 2017. I've also been making some coloring videos with my coloring calendar. I'm using the finished colored pieces as product photos on my Etsy shop. However, I want to keep selling a calendar with the same images year after year. I can edit the actual product for each year, but the product images I've colored will always have the year 2017 in them. One possibility is to modify the calendar so that the month and year text is not on the image, but below or above it, so that I can easily change it for the next year. Or remove the year completely, which is what I did with the second calendar. I only need to change the calendar grid for each year, but I don't have to touch the images. One more option is to make an open calendar, where the customer will fill out the year and the dates themselves. I bought the Blue Yeti microphone from a Black Friday sale with the Adsense income from my YouTube channel. The unboxing video is on my Facebook page. As for as content goes, now that I got new microphone and my audio quality is getting better, I want to add an art talk type of content that I can use both for videos and eventually as a podcast. So, I'll use the same audio on the podcast and on a video and the video footage itself can be a speedpaint or something else related to the topic. I've already started uploading ASMR arts and crafts sounds to SoundCloud and the podcast would also go there. However, you can only add so much downloadable content on SoundCloud for free until you need to start paying a monthly subscription to SoundCloud. So, it might make more sense to turn my Blogger blog into a self-hosted website and store the podcast files there at that point. I'm not sure I need the self-hosted website yet, but I'm finally at a stage that I want to buy my own domain. So far I've just used the free Blogspot domain for my blog. I'm thinking to first buy the domain and have my blog hosted on Blogger for free as it's been all these years. But when I get to the point that Blogger feels limiting, like if I want to store those podcast episodes on my blog or have my own online store instead of my Etsy and print-on-demand shops, I'll switch to self-hosted. I want to do more with audio, because I like listening audiobooks, podcasts and livestreams myself when I'm going for a walk, commuting on the train or painting/drawing or editing videos, doing the dishes, cooking etc. (Sometimes I even listen to ASMR while editing videos. I don't know what it does to my work efficiency and speed, but it just makes the work more pleasant.) Basically, I listen to podcasts etc. when I'm doing something that allows me to listen to someone talk in the background without being distracted. I get to do two things at once. I don't have to look at the screen, I'm free to do something and listen at the same time. 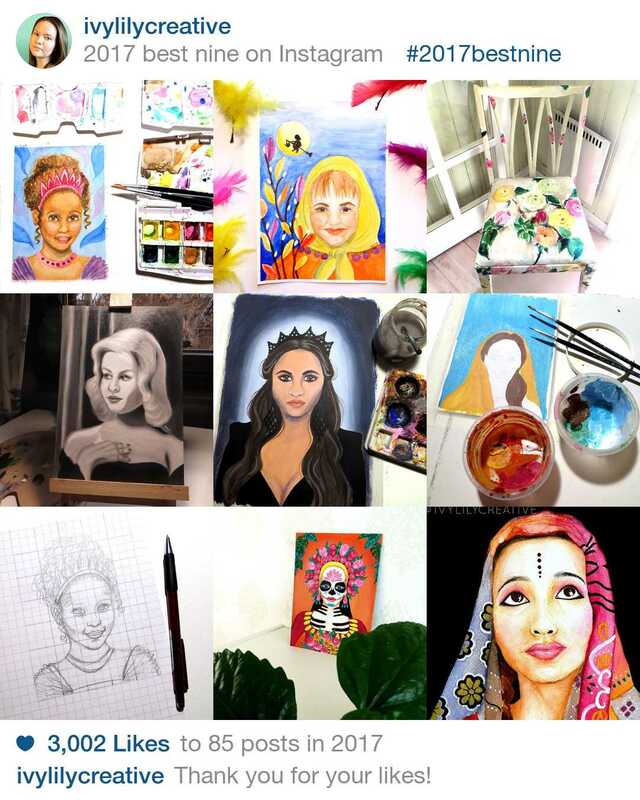 I wrote about ways I make money through my art, blog and videos in the 2016 recap. I don't think I've added any ways this year, but I have made my first money through the Amazon affiliate program. Well, I'm still figuring out how to get paid. I made about 20 dollars on Amazon US mostly this fall (and mostly through the How to Prepare Cardboard for Painting video/blog post). The payment options are either 1) have a US bank account, 2) get a gift card or 3) wait 'till you accumulate 100 dollars and get it as a check. I recently learned that you can get around this by getting a US bank account through Payoneer, but I haven't researched it or set it up yet. My most liked pictures on Instagram in 2017. I started uploading my videos to Vidme during the fall and it so happened that after I had posted tens of videos, Vidme announced it was shutting down on December 15, 2017. At that point I decided to put that effort into Facebook. I've had a Facebook page from May 2016, but I was never using correctly. I posted my new YouTube videos to Facebook automatically through IFTTT as YouTube links, which Facebook does not like. My Instagram photos are also forwarded to Facebook. Now I'm editing my old videos again and uploading them directly to Facebook. I typically make the videos shorter and then link to the full video on YouTube in a comment below the post or as a bitly-link within the post. 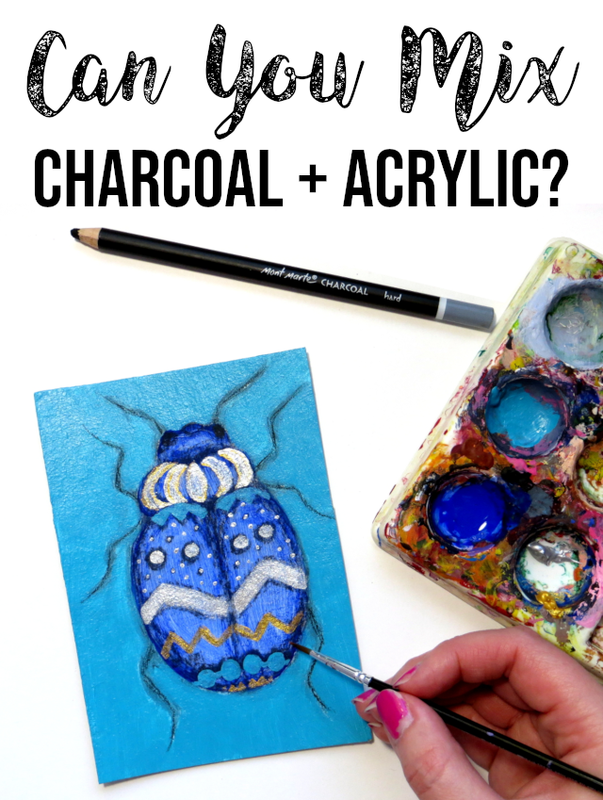 If the video promotes my coloring book or other products, I only link to my shop within the post. I also make the video square by adding black bars above and below it to make it take up more space in the feed, when it's viewed with a mobile device. It's not pretty, but I can add the title of the video in the bar above it and the closed captions will show in the bar below. I get the SRT type file of closed captions by downloading it from the same video on YouTube. Hopefully you found some useful or interesting tidbits of information from this brain dump. I make sure to not miss a year of writing these recaps so I can go back and see what I was doing and thinking each year.